Kessil is making headlines today with the recent announcement of their very own controller, called the Spectral Controller. This new device, which is said to be the size of a smartphone, is designed to work specifically with the Kessil A360 LED light and all future releases. It has the ability to control up to two different sets of lights via two separate 0-10V output ports, but don’t translate that as just two different lights. Instead, the Spectral Controller can program multiple lights spread across two separate “groups”. A prime example would be lights over two different aquariums or if you use a Kessil fixture for your refugium, you could change the lights over the display tank independently of the refugium light. Powering the controller is a micro-USB that can be plugged into a wall outlet or computer USB port. When not plugged in, the controller retains all programs and settings, so all of that hard work isn’t lost when the controller is taken offline. 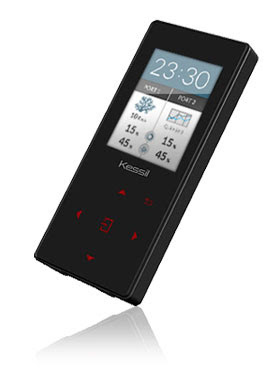 The Spectral Controller features a large display and touch pad that make navigation a breeze. As far as programming goes, the Quick Set features creates a unique dawn and dusk effect by altering light intensity and color based on a user defined schedule. 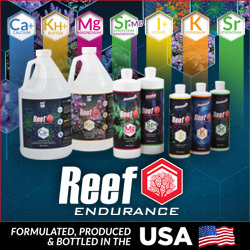 Acclimation Mode is another user customized function that is designed to create a smooth transition for corals to get accustomed to the intensity of the Kessil fixtures. Over time, the light can be programmed to slowly increase in intensity, allowing users to have access to the full power of the light while not burning corals at the same time. For Kessil users looking to utilize this new device, you won’t have to wait much longer. The Spectral Controller is scheduled to be available in late summer at a $99 price point. We don’t have any images on what the rest of the hardware will look like, but this picture of the remote is a good start. As more details emerge, we’ll update as usual.